Did you make fruit pops yet? 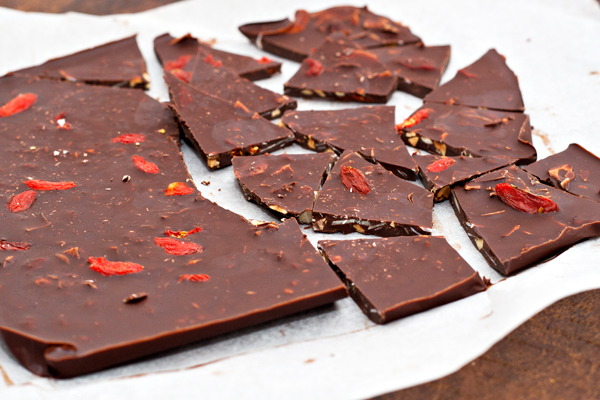 Or anything else where you need to dip stuff in chocolate? 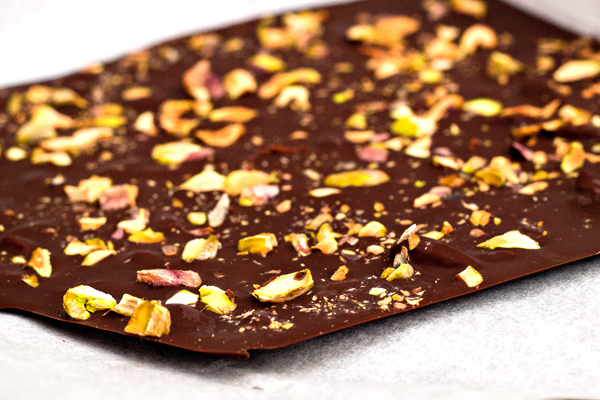 You always end up with a lot of left over melted chocolate – so what do you do with that? You make luxury chocolate!! This is inspired by a recipe from Mark Sissons cookbook “Primal blueprint – quick and easy meals” if you don’t have it already – I can recommend it!! Maybe you have some left over melted dark chocolate from making fruit pops or similar? Otherwise simply melt some just for this purpose. 100 – 150 g should do. 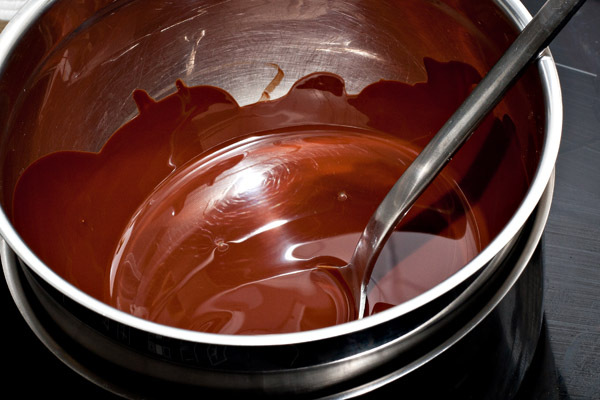 Use a bowl in a pot of hot (but not any more boiling) water – and make sure no water gets into the bowl of chocolate. Place the chocolate, broken into pieces in the bowl and let it slowly melt. Well, either or – just decide, both alternatives are great! Now, chocolate melted, coconut oil or not, you will be adding some extras to the chocolate – you can go simple, and add some chopped (or whole) nuts, some coconut flakes, maybe raisins or dried berries. If you just made the fruit pops I mentioned above – you could also use the “toppings” that might be left over. 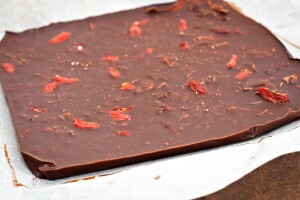 You can also be more adventurous and add more grown up things like crushed red pepper, or small pieces of dried chili. 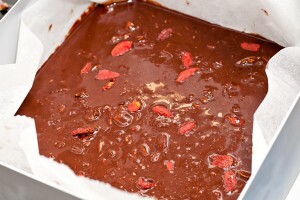 And for this one I added coconut flakes goji berries and sprinkled chopped roasted pistachios over. 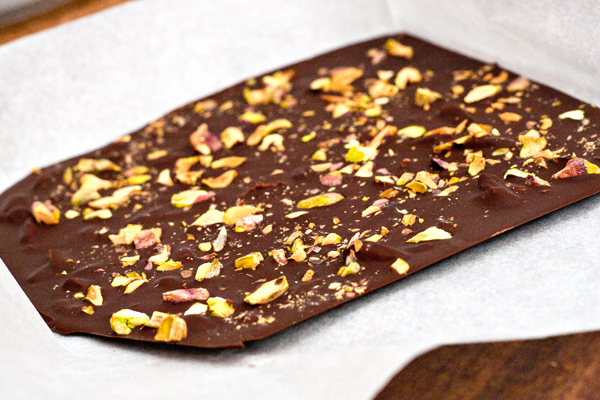 What you do is that you spread the melted chocolate on parchment paper (baking paper) – you can line a form or a box with it to get a certain shape – maybe even make it chocolate bar sized? Then sprinkle some last nuts / berries / pepper – and also a tiny bit of salt! This will cool pretty fast now once spread out – but still, pop it into the freezer to make it ice cold. 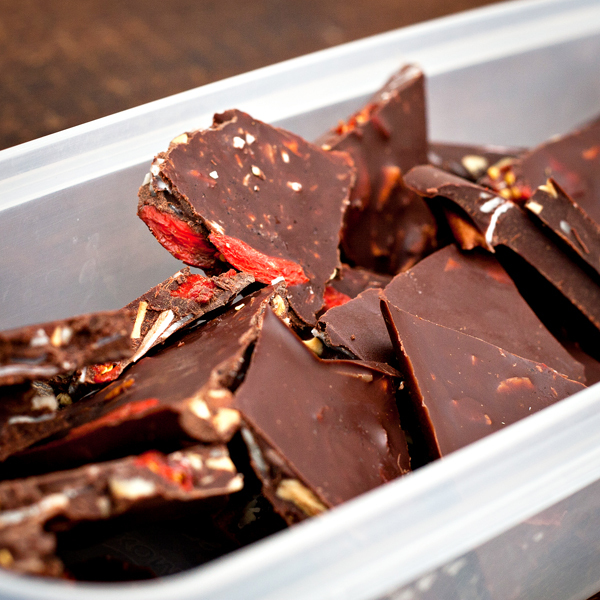 Break into pieces and store in a box in the freezer if you used coconut oil.